A police officer cannot arrest a citizen without a warrant based upon a hunch or mere suspicion. He must have “probable cause”. The US Constitution‘s Fourth Amendment requires a warrant for a person or his property to be “seized” or searched by a government agent. The law has developed allowing government agents to conduct warrantless seizures or searches if “probable cause” exists. The term “probable cause” comes from the Fourth Amendment. 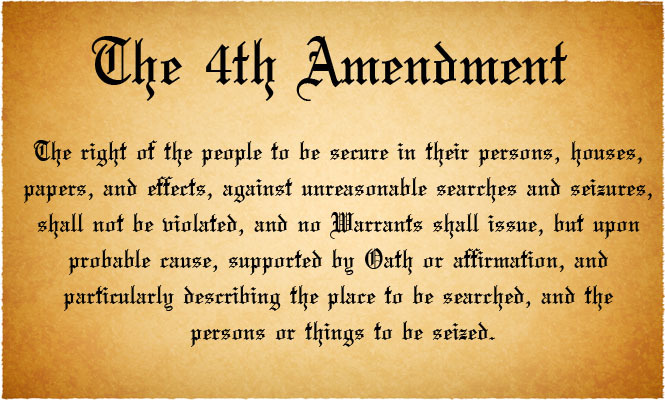 When the Fourth Amendment was adopted, warrantless arrests were allowed in public when there was a breach of the peace or a felony had been committed. These types of arrests or seizures of the person continue to be allowed under the Fourth Amendment with probable cause. Arrests in the home, absent consent or exigent circumstances, cannot be made without a warrant. Probable cause is the legal standard by which a police officer has the authority to make an arrest, conduct a personal or property search, or obtain a warrant for arrest. While many factors contribute to a police officer’s level of authority in a given situation, probable cause requires facts or evidence that would lead a reasonable person to believe that a suspect has committed a crime. The Fourth Amendment protects the unalienable right to liberty noted in the Declaration of Independence. Any detention or interference with a citizen’s liberty by a law enforcement official, however brief, is a seizure for Fourth Amendment purposes. A person is under arrest or seized when the police detain someone in a way that it is clear he is not free to leave. A person can be “under arrest” without an announcement by the police and without handcuffs or physical restraint. A person is arrested or seized when by any show of authority his liberty is restrained. A traffic stop is an arrest. When a reasonable person does not feel free to leave an encounter with law enforcement an arrest has taken place. In those circumstances for the citizen’s detention to be legal there must either be a warrant or probable cause. The test to determine whether probable cause exists for a legal arrest is whether the officer’s knowledge of facts and circumstances are sufficient to lead a prudent person to believe a suspect has committed, is committing, or is about to commit a crime. This test indicates that mere suspicion of a crime is not enough, but the standard for probable cause is a reasonable suspicion of criminality and not actual or certain knowledge. Even though an arrest may be made without a warrant based upon probable cause, such an arrest must be justified to a judge within a reasonable time. The Supreme Court addressed this issue in Gerstein v. Pugh. A person detained without a warrant must be brought before a judge to determine probable cause. Evidence is given to the judge relating to “probable cause”. The Fourth Amendment requires a judicial determination of probable cause even post arrest. Is there some evidence a crime was committed? Is there some evidence that this individual was involved? If an arrest is made without probable cause there are several possible consequences. A wrongfully arrested citizen may sue the government for damages based upon a violation of his civil rights. Another possible consequence is that any evidence that is gathered as a result of the illegal arrest is excluded from use in the prosecution of that person. The manner which this is achieved is by a pretrial motion to quash the arrest and suppress evidence. If a defendant or his attorney believe the defendant was detained by the police without reasonable suspicion of criminal activity, it is appropriate to file a motion to quash arrest and suppress evidence. This asks the judge to determine if there was probable cause for the arrest. If the judge finds there was not, then all evidence after the illegal arrest is excluded from court. For example, if an individual is stopped for an alleged traffic violation and later charged with driving under the influence and he can show that he did not commit the original violation, then all the evidence gathered related to the DUI cannot be used in court. The results of the field sobriety tests, the officer’s observations and any chemical testing could not be employed in a trial. The Motion to Quash is one way to enforce the Constitutional right to be free from an unreasonable seizure. Part of the Bill of Rights. 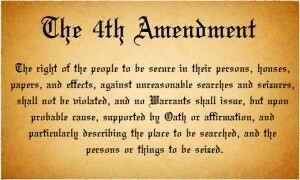 The Fourth Amendment warrant requirements grew out of the American colonial experience with writs of assistance or general warrants allowing the king’s agents to search and seize property and persons without specific suspicions of criminality. This would even include evidence from a DUI alcohol breath test taken later, if the motorist was stopped illegally in the first place.